Free Practice 1 + 2: In the first practice sessions all Kaufmann driver directly showed a strong pace and adapted well to the very windy conditions. In FP 1 it was Jörg on P 8, Malja on P 10 and Tveter on P 19. In the second session Malja improved himself upto P 4, Jörg was P 8 again and Tveter on P 22. Qualifying 1: In the first qualifying which was like usual split in two Groups, it was first Malja and Tveter out in Group A. Tveter qualified himself on P 8 in his group and Malja showed a strong pace on P 3 in the group. Kevin Jörg was in Group B. After a solid qualifying he ended on P 4 in the group. Overall on the starting grid it was Malja - P 6, Jörg - P 7 and Tveter P 16. Race 1: In the first race Tveter made contact and drove with a bend wing which saw him ending up P 23. Jörg had a good start and was fighting for P 5. A little mistake during an overtaking move made him spun off the track and rejoining on P 15 where he also finished the race. Gustav Malja was driving a very good race and kept his position. After s strong pace he finished on P 6. Qualifying 2: In the second qualifying on Sunday morning, it was first Kevin Jörg on track. After a perfect qualifying without any mistakes it was Jörg who took P 1 in the group. 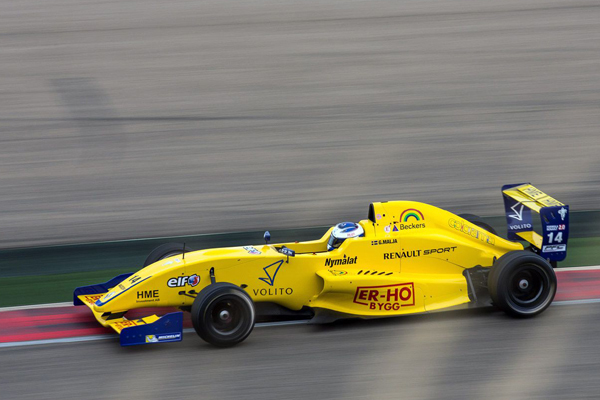 In the other group Tveter qualified on P 10 and Malja missed his fastest lap to qualify only P 8. Overall for the race grid Jörg in the front row on P 2, Malja P 15 and Tveter P 19. Race 2: In the second race Tveter and Malja drove a very good race with lots of overtaking. 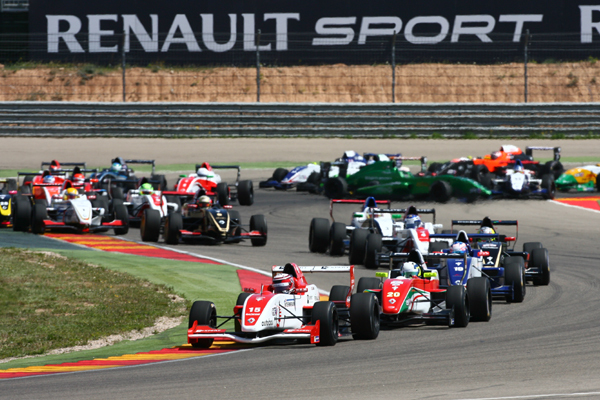 Tveter finished on P 12 and Malja even made it into the Top 10 and scored again championship points. In the front it was Kevin Jörg who was running on P 2 with a very fast race pace. 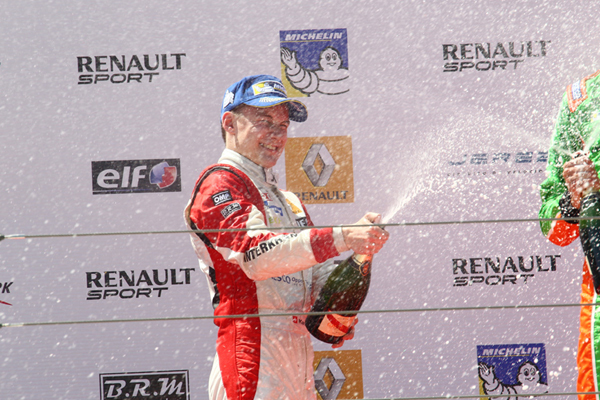 He was attacking the leader but didn´t find a way pass and finally settled for P 2. 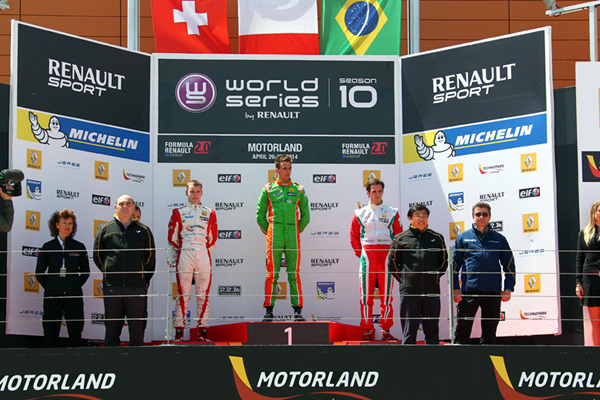 A very good race from the young swiss who scored hist first Eurocup Podium.